Just because you’re an affiliate doesn’t mean you’re off the hook for branding. Well, you could take that approach – but it won’t help you build a flourishing business. 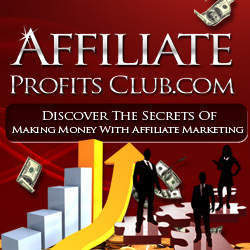 Sure, you might make some sales and commissions – but you want profits to explode. To achieve the top tier levels of affiliate income, you still have to brand yourself as a leader in your niche – and it doesn’t mean you have to put out your own products. Leaders are guides, not necessarily product creators. Figure out a unique slant for your business that reflects the message you want to share. Don’t just be the “home improvement advice” person. Think of a way to build a buzz around your brand. Have you ever heard of the Fly Lady? She’s all about cleaning and organizing your home – on the fly. Nothing comprehensive and detailed – just enough to help you sustain neatness and not go insane. She’s wildly popular. You can have a brand like that. Start curating information for your niche. Curation is when you go out and gather information in your niche and share bits and pieces on your site, providing your own commentary about it. It’s kind of like how a museum curator goes around the world finding pieces for the museum and then shares them with visitors and walks around giving the history and background on it. Have professional graphics on your site. You really want to have a design that reflects the message you want to project. If you’re good at graphics, then create your own – but if you’re new, it’s always best to hire a professional. An entire minisite theme costs under $200 for a great design that’s unique for you. Share on all of the major social networks. The top leaders in the world, like Tony Robbins for example, all have a presence on multiple social networks. Make sure you are on whatever is trendy at the time – Twitter, Google Plus, Facebook, Pinterest and more. Ask to interview other experts in your niche. You can create weekly or monthly interviews with other experts and leaders in your niche, making your website home the place where tons of great advice is shared. Whenever you can, start working on your own product for the niche. Having your own book will further your position as an authority figure. You can even outsource the process to a ghostwriter and put your name on it.